“Socrates showed us that thinking the truth is not enough. 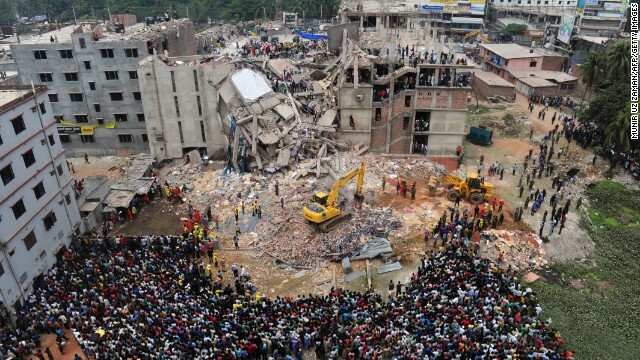 mass casualties as garment factory building collapses. to impact bottom lines on distant shores. as he scans inconvenient headlines. spin control revs up to high gear. when facts get in the way. There is increasingly more media coverage on how huge corporations improve their bottom line by outsourcing to third world countries where labor is cheap and environmental and human rights laws are virtually nonexistent. The costs related to the political influence required to facilitate this outsourcing becomes a mere numerical line in their profit/loss statements. These corporations sanitize their actions through layers of “arms length” supply chains and distance themselves from the ugly facts with shrugged shoulders and spin control through their respective PR departments. For too long the haves in the world of have nots are standing by idly and watching as exploitation and concomitant tragedies unfold in the world of globalization. The sad irony is that the consumers who empower this process, feel helpless (or indifferent) to effect change and yet is the latent instrument of transformation for a more equitable world. There are numerous casualties in terms of loss of life and human exploitation in factories where the working conditions defy everything we take for granted in the western world. How exactly do we rationalize our consumer habits when facts get in the way?